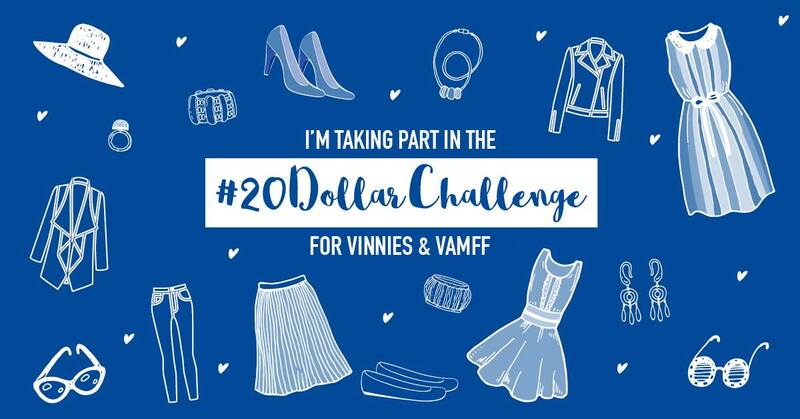 Another day, another thrifty challenge from Vinnies Victoria.. and why not! 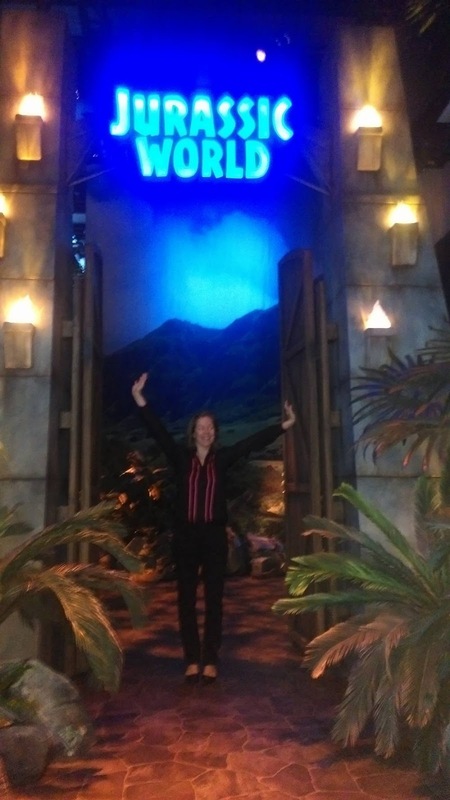 I love a challenge, and even better when it is a thrifty fashion one. The concept came about due to the 20th Annual Virgin Australia Melbourne Fashion Festival; a time when the city celebrates local and national fashion brands. However, this is also a time to think about clothing consumption, and the 'who what where' of your fashion. Who made it, and what cost, and where (in what conditions). I started my search in a Vinnies store, looking for one key piece to work with. In this case, a gorgeous Perri Cutten black shirt with magenta stripes. Although I'm trying to steer away from too much black in my wardrobe, this shirt spoke to me. I went for black to complete the look (very Melbourne); skinny jeans, and black low heels. To accessorise, I found a black sparkly clutch and some pink earrings. The lovely staff at Vinnies threw in the earrings for free when they heard about my challenge. I tried to capture my outfit yesterday, when my son and I went to the media preview for Jurassic World: The Exhibition at Melbourne Museum, but the image is a little blurry. Now my fun $20 dollar outfit challenge is over, it's over to you. Would you like to win a $20 Vinnies Victoria giftcard? 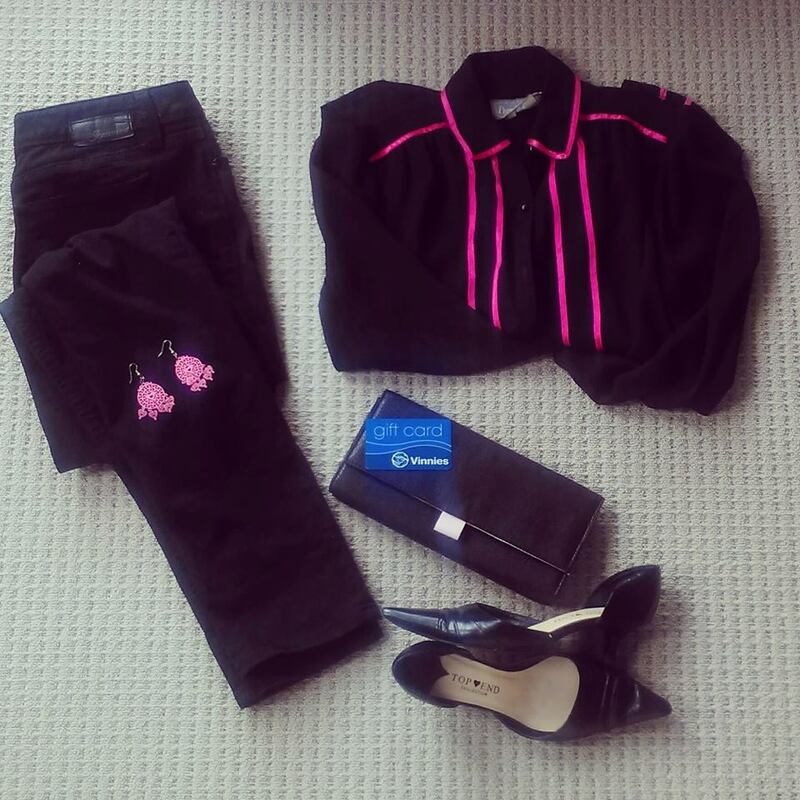 All you have to do, is share a photograph of your best find in Vinnies, in the comments section of this blog post's Facebook page entry. A winner will be selected in a week; Saturday 26 March 2016.